Are you on the fence about whether you should attend Indie Wed? Are you thinking it is just another lame wedding show with pushy vendors? Are you wondering ‘What IS Indie Wed?’ Well fear not. Here are 5 reasons why this year’s Indie Wed event in Chicago is not to be missed. Okay so I may be a bit biased, but Indie Wed vendors tend to be some of the coolest folks around. With close to 100 vendors participating, you will have a huge variety of wedding pros in every category from cakes and catering to florals and fashion and beyond. Important to note is that these vendors (or ‘friendors’ as you will get to know them after working with them) have been thoughtfully curated from hundreds of applicants. The goals was to have a wide selection of styles and price ranges perfect for all tastes and budgets. The best part is that the vendors chosen represent the very best of small businesses in the area. By attending Indie Wed, you are helping to support a ton of amazing, independent business owners. photos by Tuan B. & Co. Yes, you read that right… THREE floors. So usually we have one stage on the first floor with a variety of performers throughout the day. Well that wasn’t good enough. This year we are multiplying that by 3. Each floor will have some sort of entertainment. One the first floor, we will continue with our larger stage highlighting all our musicians. We have everything from loungey jazz & spanish guitars to brass bands and strings. In between acts, a DJ will be there to keep the party going. The second floor will keep it a bit more intimate with our new ‘small acts’ area. During the day some of the smaller musical acts will play live for you. Again, a DJ will fill the down time with a variety of tunes. On the third floor, our special themed lounge (see #5 below) will feature our favorite pop-twangers, Gussied playing sets on and off all day. The first 50 brides/grooms in line (one per household) will receive one of our coveted Swag Bags. The silkscreened canvas totes are perfect for carrying all your wedding prep to and from planning appointments. Plus they are super handy to have at Indie Wed when traveling from booth to booth, picking up info from our vendors. The best part is each tote comes with a super secret list of select vendors that will have special swag at their booths just for the holders of the totes! How awesome is that. But remember, you have to be one of the first 50 betrothed in line. Sorry in advance to bridesmaids, groomsmen, and the 51st person in line. Now we don’t expect you to spend an entire day without food. Thankfully we will have 8 caterers on hand, with samples of food and drinks sure to make you swoon. Vegetarians and carnivores alike will be thrilled with the selection of treats to nibble and sip. Don’t think we forgot your sweet tooth. We also have some of the area’s best sweets in the house. Okay, so that is a lot to see and do. Don’t worry… we have a place you can go and relax. Camp is in session at Indie Wed! Our third floor lounge has a group of exclusive vendors chosen to bring back your fondest summer camp memories including some hands-on activities. You can read more about the lounge here. It is the perfect place to have a seat, kick back and relax during an active day of wedding planning. While you are there you may even catch a peek of an awesome photo shoot we did recently for Camp Indie Wed. Here is a behind-the-scenes film of that photo shoot to get you in the mood. Camp Indie Wed. A BTS Film by LEAP Weddings. from Hi. We are LEAP Weddings. on Vimeo. As you can see, there is a lot of awesomeness happening at Indie Wed. Heck you don’t even have to be engaged to enjoy a day at Indie Wed. Just grab some of your friends and head on over. 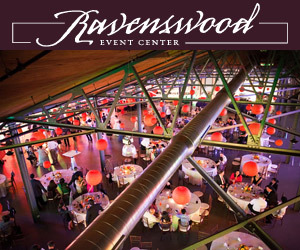 Indie Wed is on Saturday, February 6th from 10am – 4pm at the Ravenswood Event Center. More details can be found here. Tickets are available online now through February 5th at noon for $15/single or $25/couple. Tickets will also be available at the door for $20/person, cash only.